Don't miss the latest happenings out of Winterplace Ski Resort, including new lifts, terrain expansions, weather, photo galleries, infographics and current events skiers and mountain travelers should know about. Stay up-to-date on Winterplace Ski Resort news and events by clicking on articles from the list below or page through to see coverage from the entire ski season. Resorts head into the home stretch in great shape. Winterplace offers Learn a Snow Sport deal made more attractive by West Virginia's plentiful snow fall and governor's proclamation. 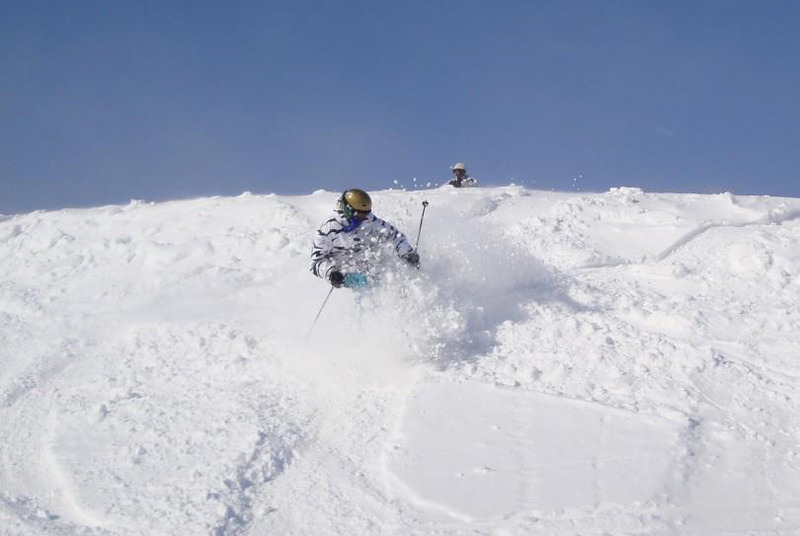 Winterplace in West Virginia offers free skiing for customers who book midweek stays with lodging partners. Take a lesson, dress warm, have fun. Resort open longer than most, enjoying Daylight Savings. Winterplace offering terrain and deals. Purchase your Winterplace season pass now and save $60. Anyone looking to live out their Downhill Racer fantasies ala David Chappellet should swing by Winterplace Ski Resort any Saturday in March for some head to head racing. While Winterplace Ski Resort has not found itself with an overabundance of natural snow, colder temps and an extensive snow-making set-up have allowed the mountain to open from the top. Skiers and boarders can take the #3 Triple Chairlift to the top for runs down Compromise.